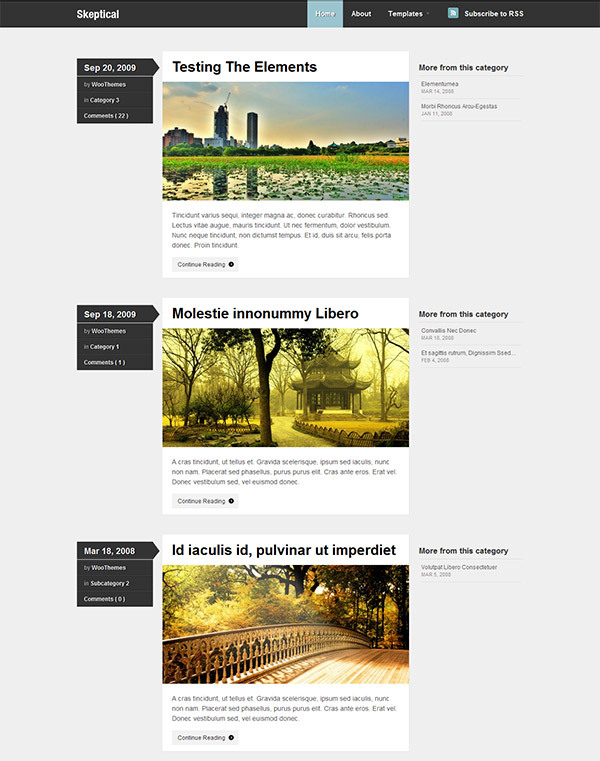 Groovy is a very flexible personal wordpress theme. Groovy has a vivid and impressive design but also simple and powerful admin panel. You can design your own color scheme, switch on/switch off different modules on the homepage, add additional widgets and manage your advertising. 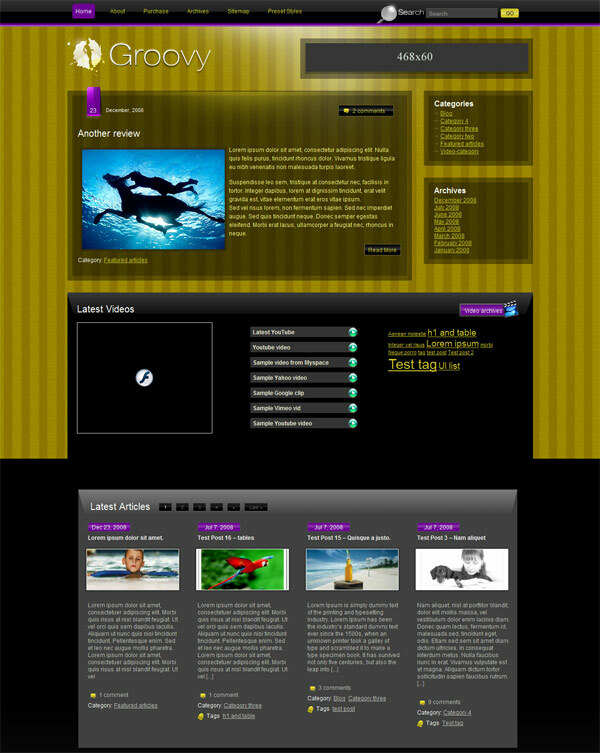 With this theme you can add video to your post from more than twenty video services such as Youtube, Vimeo, etc. and you get a latest Videos module that let you display your video posts on the homepage and of course you can control the visibility of this module. There are 6 additional widgets and 5 different widget spaces as well as 5 preset styles available for the Groovy theme. 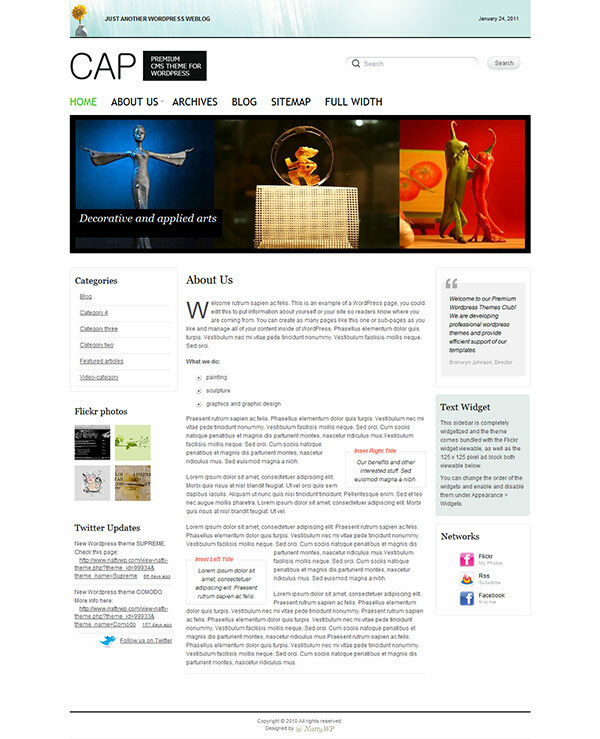 There is also an automatic Image Resizer, which is used to dynamically create the thumbnails for the blog posts, a completely widgetized sidebar with custom widgets included in the theme packaging, easy banner and Adsense management, SEO Optimised Layout with custom SEO settings as well as convenient Site Statistics.